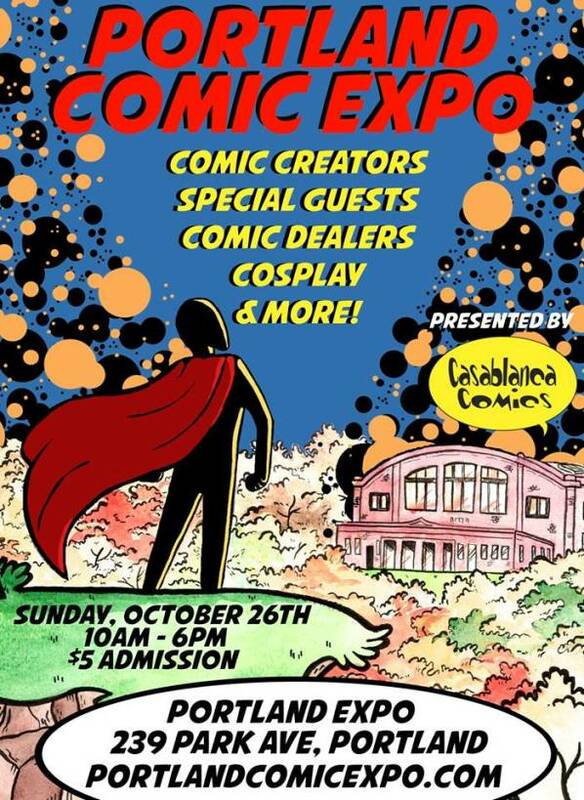 Portland Comic Expo will be a one day show, with writers, artists, comic dealers, programming and cosplay. Meet Marvel Comics artist Declan Shalvey (Moon Knight), Image Comics artist Jordie Bellaire, and many more. There will be an artist alley with many small publishers as well. It is the Sunday before Halloween so we expect LOTS of great costumes. ADMISSION ONLY $5.00! Presented by Casablanca Comics.